Right at the top of the great Ancient Egyptian pyramids, at the top of millions of ton of stone, there was originally a pyramidion, a miniature version of the entire pyramid forming the very apex, a single piece of granite or limestone a metre or two high covered in gold leaf. And, in the most esoteric pyramid theories, at the top of the pyramidion there was another even smaller model in solid gold, and right at the tip, there was a tiny pyramid in diamond. 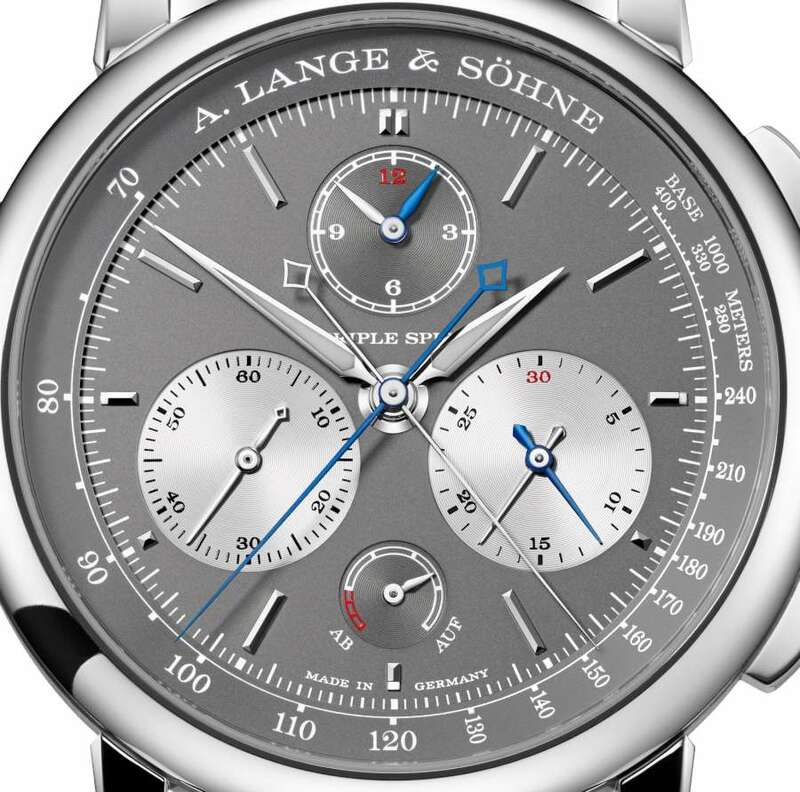 If you think of the vast world of mechanical watches as the Great Pyramid, arguably this watch by A. Lange & Söhne is right at the glittering top, the capstone of watchmaking. You really can’t get much better than this. Different people will have their own ideas as to which brand is right at the top, whether Patek Philippe, Audemars Piguet, Vacheron Constantin, A. Lange & Söhne and so forth, but whatever your opinion, there can be no doubt that Lange have done something extraordinary with the Triple Split chronograph..
What makes the Triple Split so special? 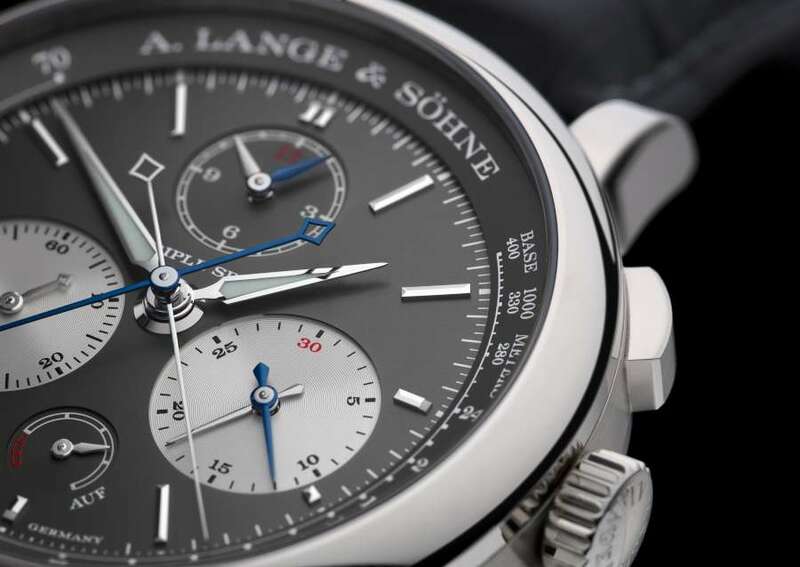 Because A. Lange & Söhne identified a need for a new type of chronograph, a watch that could display an intermediate time lasting up to 12 hours. An ordinary split seconds chronograph can be used to take intermediate times, but it’s just the split second hand that stops, while the minute and hour counters are still progressing. So if you’re timing a long event, such as a triathlon, and you press the split-seconds pusher when the first contestant finishes seven hours and 35 minutes from the start, you don’t have much time in which to note down the elapsed time. The Triple Split has three blued split-second hands, one for chronograph seconds, one for minutes, one for hours. When you press the split second pusher, all of them stop. When you press it again, they all rejoin the primary chronograph timer hands. 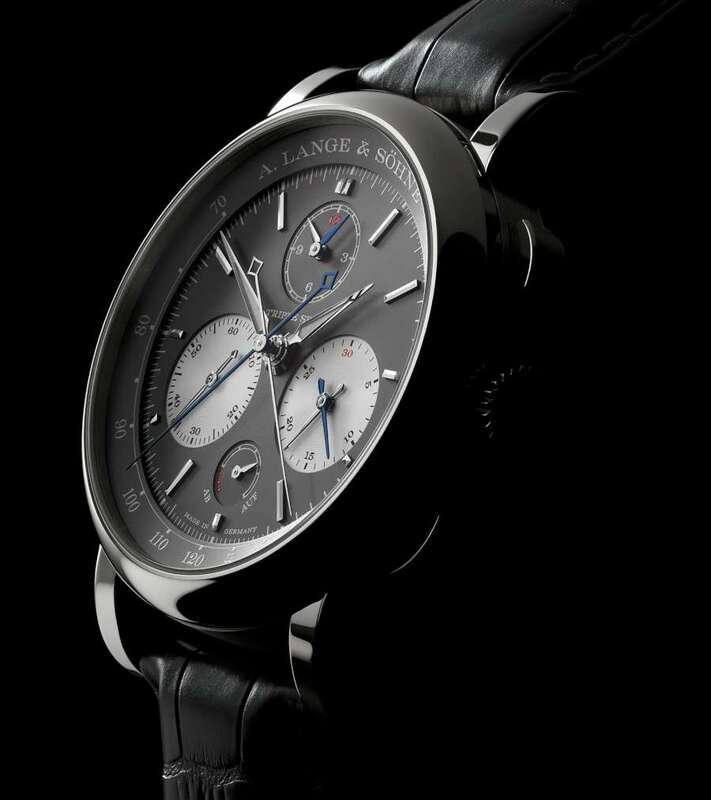 A. Lange & Söhne had taken the first step towards this masterpiece in 2004 with the Double Split. 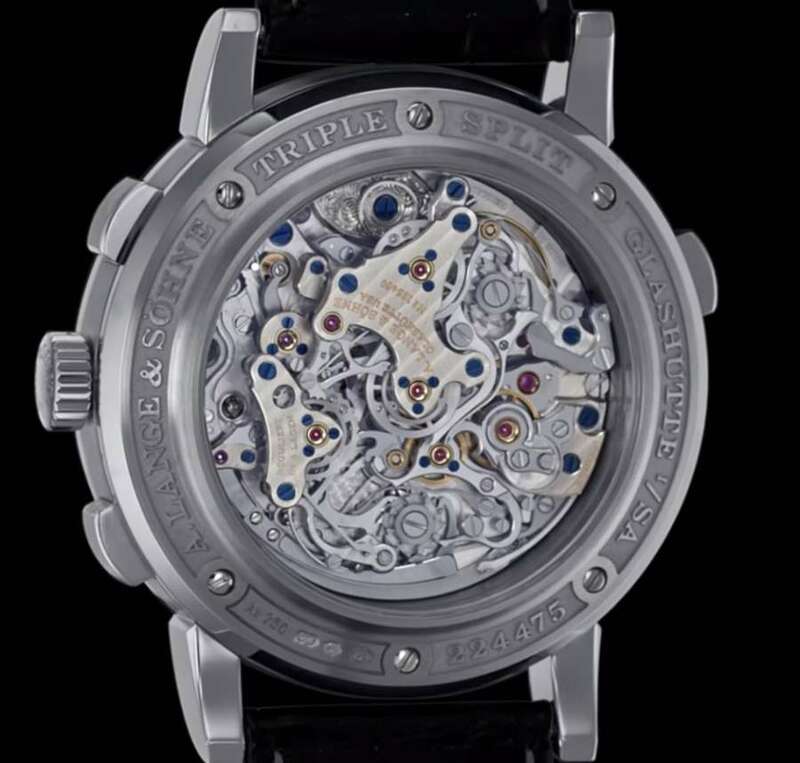 The Triple Split, a limited edition of 100 watches, was presented in 2018. At €139,000, for most people it’s an unattainable dream. But it illustrates a sense of direction, an approach, creating a benchmark for all the rest. 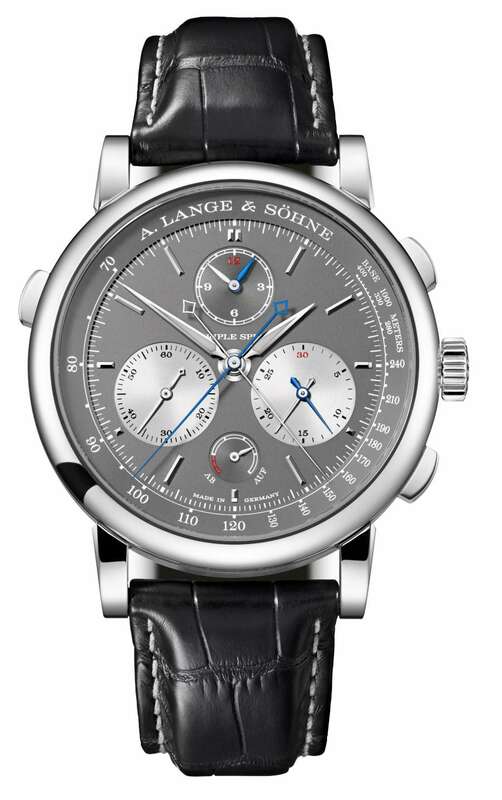 Most of A. Lange & Söhne’s watches are made in precious metals, and this piece is in white gold. This is another Lange characteristic, understatement – most brands use polished stainless steel because at a glance it resembles white gold. Lange use white gold because, along with platinum, it’s the subtlest, most understated form of precious metal. The case is large at 43.2 mm diameter and 15.6 mm thickness, but it’s no larger than many far simpler chronographs, and the same size as the previous Double Split. It has a black alligator leather strap with folding clasp in white gold. The view through the caseback is breath-taking. It’s like looking through a window onto a secret, magical garden. 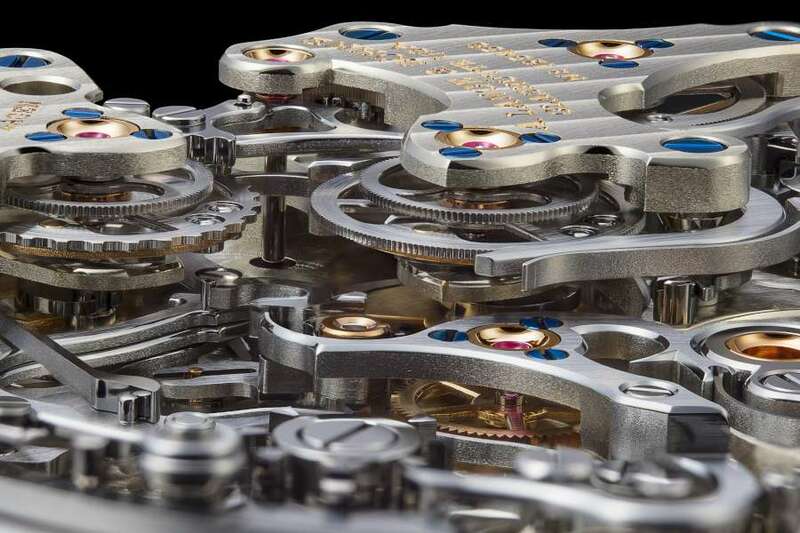 The Lange Calibre L132.1 has 567 parts, all hand-finished, including 46 jewels and 5 gold chatons. 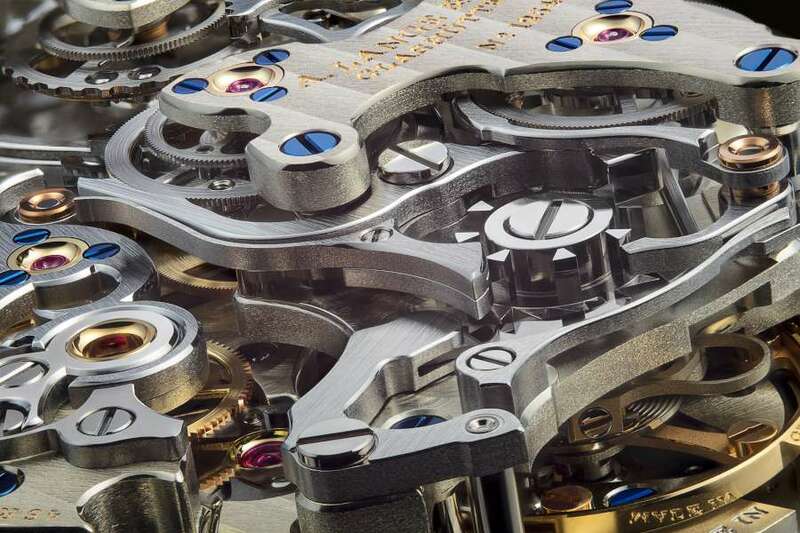 The movement is hand-wound, with a power reserve of 55 hours. 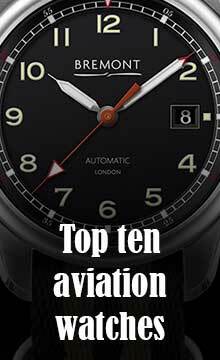 Its design, which includes two column wheels, is such that the amplitude of the balance is unaffected by the periodical increase in energy absorption every minute, when the minute chronograph hand moves, and equally by the act of starting or stopping the chronograph. Rate is adjusted by the weights on the balance, and beat symmetry by means of the lateral screw and whiplash spring.